One of my goals this year is to start a local art ministry - not only to share my passion; but to also share my talents from God with others. I love writing, sharing and learning about art just as much as I love to paint. I'm still brainstorming how to execute a local art ministry; I would love to get a group of people together that share the same passion, create some beautiful art and share it with residents at a local retirement community. I'm hopeful everything will fall in place in due time! Impressionism is by far my favorite style, and of all the Impressionist artist - Claude Monet takes the cake. The painting style of Impressionism originated in 19th century Paris with a community of artists. This style is most recognizable small, thin noticeable brushstrokes on the canvas. Impressionism is all about understanding the effects of color and shadows among the subjects being painted. Most paintings done during this time were of landscapes and ordinary life subject matter - which is probably why I am so drawn to these types of paintings. Looking at another person's impression and perception of life can bring so many emotions to the surface. Joy. Sadness. Contentment. The list can go on! 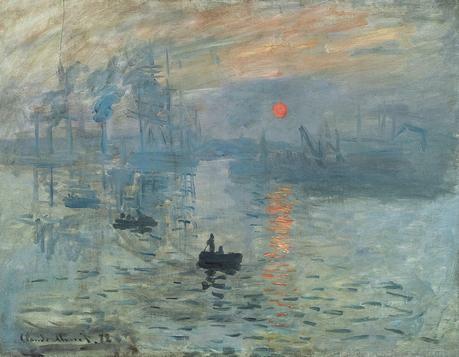 Monet's painting, Impression: soleil levant (Impression Sunrise), was completed around the year 1872 and was on exhibit in 1874. During an art showing, a critic viewed this piece and then coined the term "Impressionism" to describe the work he saw. The exhibition was an opportunity for the artists to showcase this new art form without the interference; and included works by Renoir, Degas, and Cezzane - just to name a few. Some of Monet's more well-known paintings were created in the late 1890's into the early part of the twentieth century. Monet rented a large house and 2 acres at Giverny (which he later purchased), in northern France. The house also had a barn, orchards and a small garden. 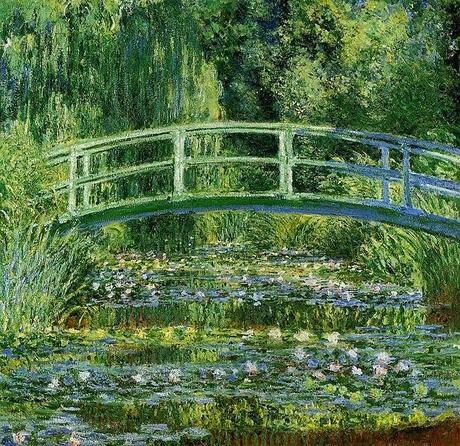 Monet's family built up the gardens; and by this time his art dealer had great success in selling his work. 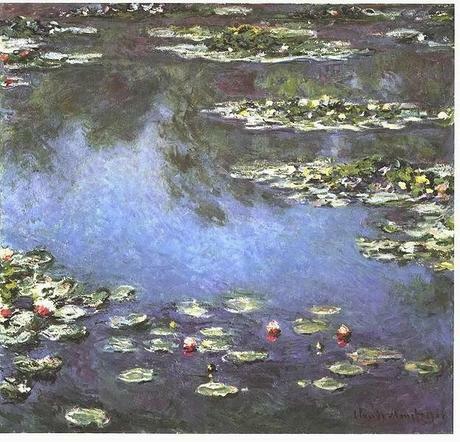 The garden became a vast landscaping project and thus became the subject of many of his best-known pieces - such as Water Lilies and the Japanese Bridge and Water Lilies. Claude Monet died on December 5, 1926 in Giverny. Today, his home and gardens are major tourist attractions in Giverny and draws the attention of many travelers and art enthusiasts! One day, if I ever make it to France, this is a definite must see! How I Got My 3 Year Old To Give Up Her Binky!